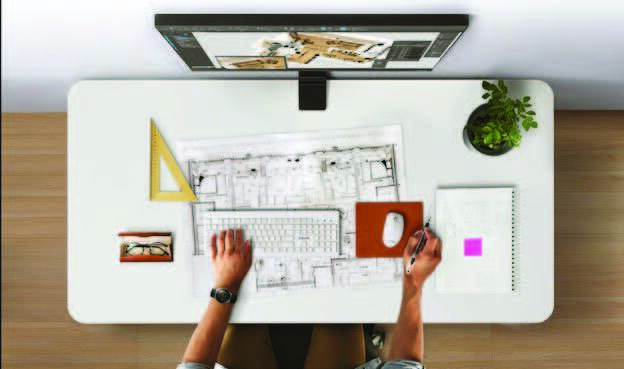 Excellence in Work & Play – Displaying more content, resolving sharper images, and featuring advanced display technologies, our high-resolution monitors are the perfect choice for almost any use. From professional applications to multitasking and gaming, let high resolution improve your performance. You hope to maintain a sleek, sophisticated desk that reflects your neat and modern lifestyle, but your desktop is constantly cluttered. You could have a monitor, taking up almost no space, with no messy cables. Clamp-Type Stand – Ensure quick and easy installation. No-Gap Design – Push back to sit flat against a back wall and leave your entire work surface clear. Robust Hinge – Assure smooth and precise screen positioning. Sleek Design – Offer an understated stylish solution for any workplace or home interior. Y-Cable Structure – Prevent tangling and keep your workspace clear and free from clutter. Zero-Level HAS – Allow easy positioning of the screen for optimum comfort and convenience. Experience the ultimate in gaming development, video and any business application with fast-moving content with our multi-sized Samsung curved monitor. 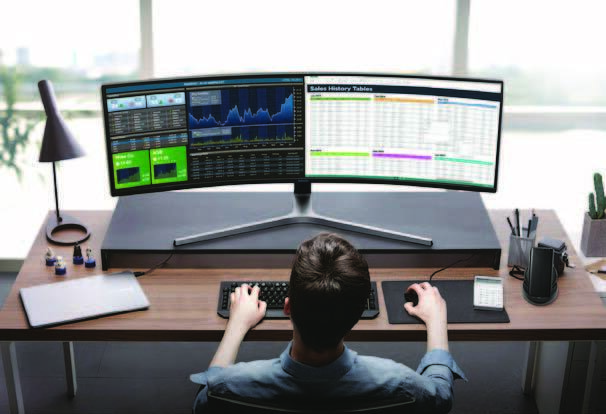 Curved Screen – Enhance productivity through a comfortable curved design. Picture-By-Picture – Connect two different devices to the monitor simultaneously. Easy Setting Box – Partition the screen into multiple windows for an instant view. Ergonomic Design – The swivel/tilt and height-adjustable stand offer all the flexibility for maximum comfort. High Resolution – Work with multiple windows more comfortably and see more details. Eye-Saver Mode – Reduce blue light emissions to drive long-term productivity.